San Francisco, April 12: Facebook-owned messaging app WhatsApp is still developing its previously announced "Vacation Mode", but has changed its name to "Ignore Archived Chats" and added certain tweaks to its functionality. As part of the further development of this feature, WhatsApp's beta version for Android 2.19.101 shows that the "Ignore Archived Chats" feature would prevent the archived messages from coming on top of the chat if new messages on the chat arrived, WABetaInfo reported on Thursday. WhatsApp New 'Vacation Mode' Feature Spotted on Android Beta Version 2.19.101; To Be Called as 'Ignore Archived Chats'. Currently, an archived chat automatically unarchives once a new message is recieved on that chat. Announced last October, the old test feature "Vacation Mode" prevented chats from getting unarchived only if the chat were muted. Details about the official roll-out of the feature remain unknown. Lately, the messaging app has been testing and adding a plethora of new features for its over 1.5 billion global users. 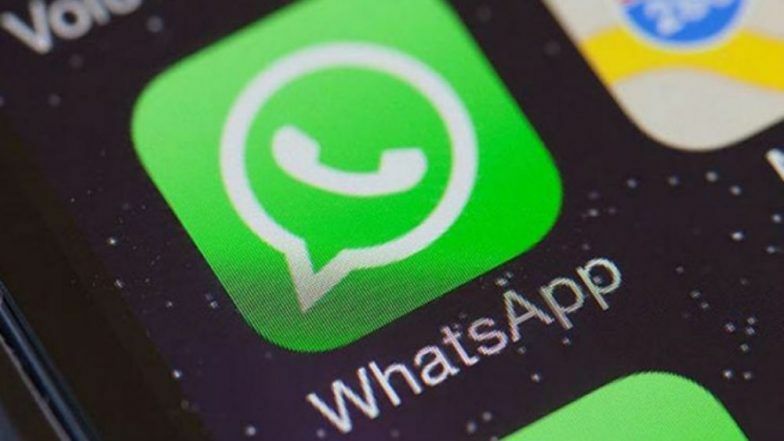 One in Two Indians Receiving Fake News Through WhatsApp & Facebook Platforms Ahead of Lok Sabha Elections 2019. Recently, the app started allowing users to choose a total of 30 audio files to send at once. The platform is also testing the "Forwarding Info" and "Frequently Forwarded Message" feature to check the spread of misinformation on its platform. The app is also working on the much-awaited iPad support.